Here’s another illustrated style guide that I’ve put together for you. Instead of discussing a specific trend, I’ve opted to share my ideas on styling party outfits that go beyond following the latest trends. 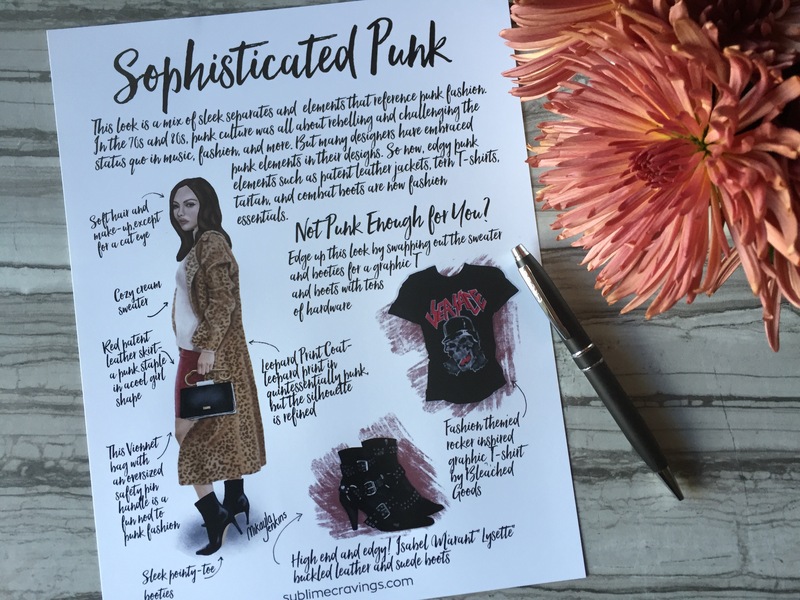 For this illustrated guide, I’m focusing on fashion icons because they are a great source of outfit inspiration for a date night, girls’ night out, or New Year’s Eve. Download a pdf format version of the style guide here. This diva is a source of inspiration for many fashionable entertainers—think Beyoncé, Rihanna, Solange, and more. No one does diva style better than Diana. 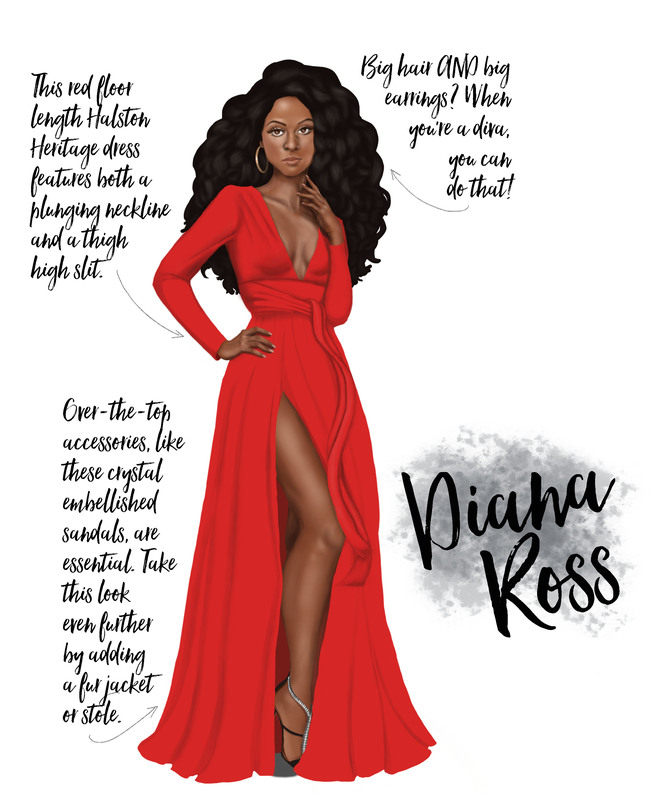 You can achieve Diana Ross’ signature diva vibe with a show-stopping floor length dress and over-the-top voluminous hair. And don’t forget to play up your eyes. You can’t channel this diva’s look without her signature doe eyes. Lead singer of Blondie, who’s known for her fearless glam punk rock style. Debbie Harry likes to mix punk staples—moto jackets, leather, ripped concert T shirts, animal prints—with more sophisticated pieces like one-shoulder dresses. Wear a patent leather frock in a feminine cut with a leopard print moto jacket for a modern take on Debbie Harry’s signature style. A bold woman who pushes boundaries in both her philanthropic endeavors and personal style, she is a human rights and climate change activist. Oh, and she was Mick Jagger’s first wife. Known for her fashion forward looks, Bianca has a penchant for for luxe tailored masculine suits paired with attention grabbing accessories. Although her go-to colors for suits are cream and white, she often wears black as well. Accessorize the look with a fur stole worn on one shoulder, a choker, or a vintage hat with a birdcage veil. This singer-songwriter is THE muse for boho style. Layering is key when channeling Stevie Nick’s style aesthetic. Wear an embroidered shawl, scarf, or floral kimono robe over a flowy dress with bell sleeves. Go even further by integrating different textiles–lace, velvet, leather–into the same look. 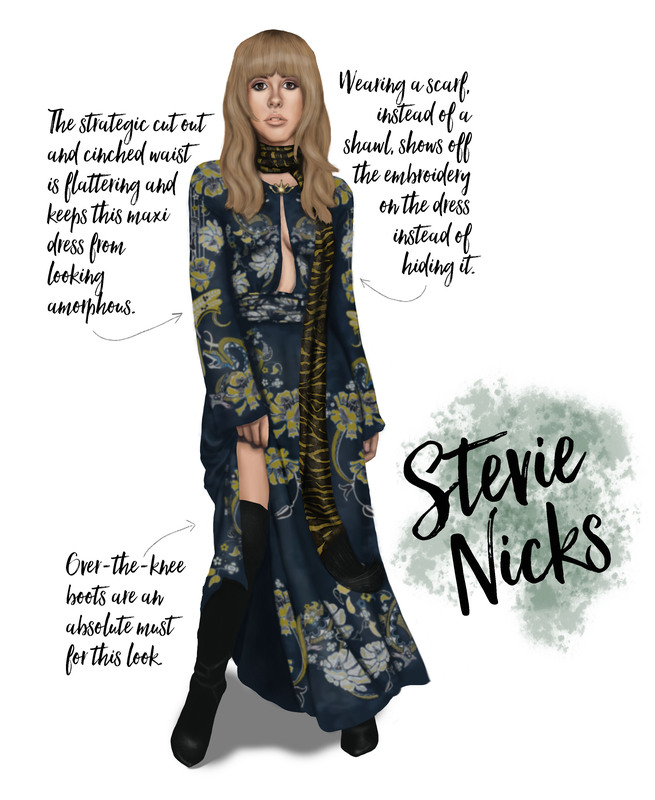 You can achieve an “of-the-moment” take on Stevie Nick’s style by wearing an embroidered maxi dress paired with a fringed scarf and over-the-knee suede boots. What I love about this trend is that the looks are ultra feminine with a healthy dose of edge. 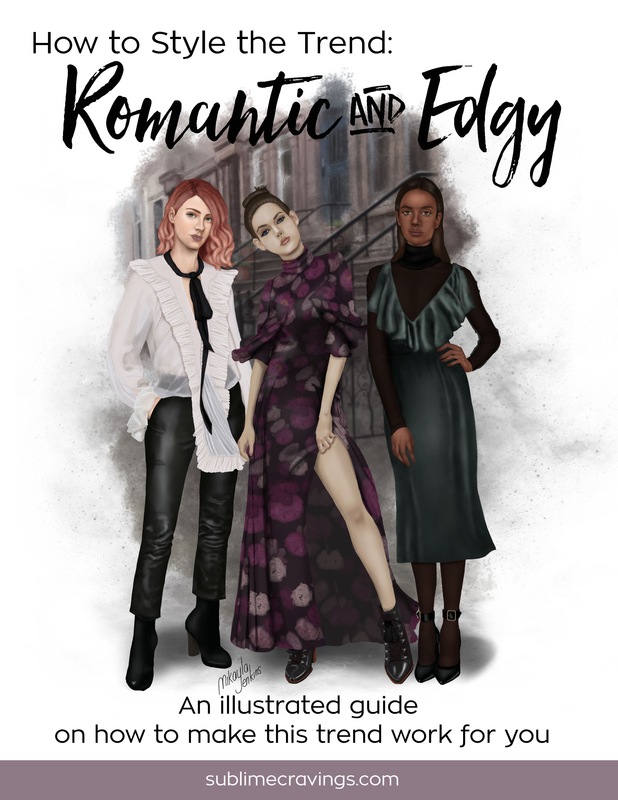 Simply put, this trend is all about integrating tough and edgy elements with an overall romantic aesthetic. The most approachable way to try out this trend is to wear a moto jacket with a floaty patterned dress. 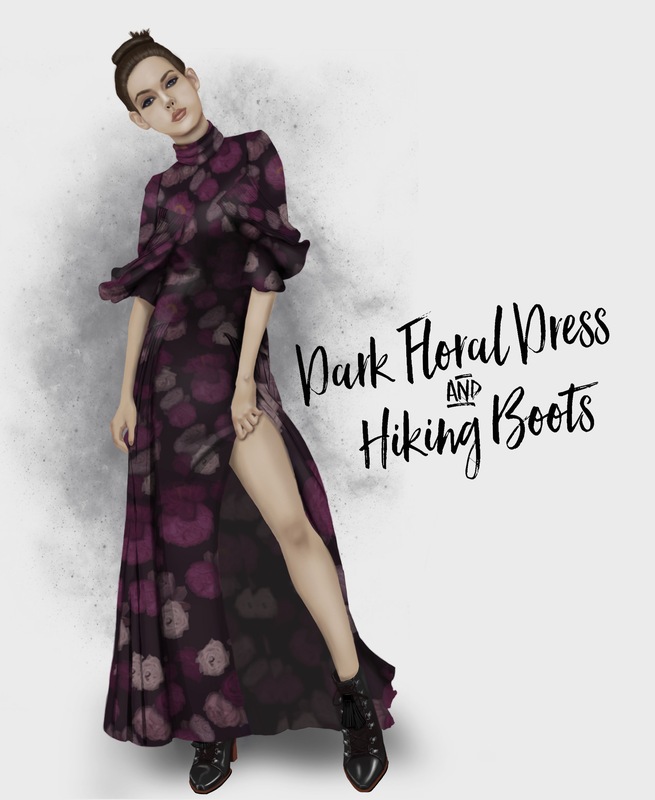 For those who have already embraced the floral dress and moto jacket combo, you can take this trend a step further by choosing floral and brocade patterned pieces in moody dark colors, instead of bright colors. 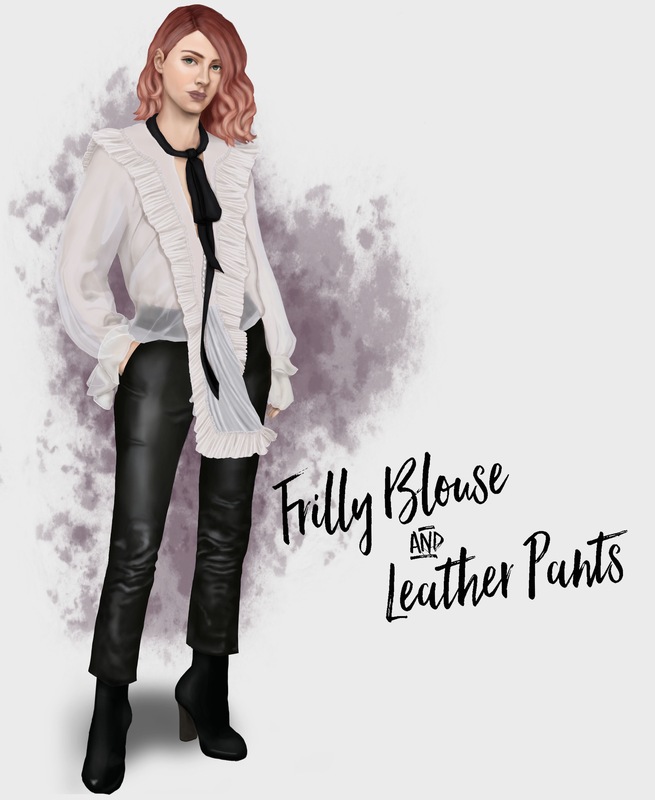 Also, go beyond utilizing a moto jacket to toughen up your outfit by trying out more refined edgy pieces, such as cropped leather pants or high heel combat boots. There are endless ways to achieve this fashion vibe, but here are a few looks that may inspire you. boots. Look for dresses with ultra feminine silhouettes, think ruffles and frills, in darker moody colors. Notice that unlike the moto jacket and floral dress combo, both elements of this look have both feminine AND edgy components. This dress has a feminine cut but is in a darker edgier palette. Also the boots are edgy, but the heels make them more feminine. the feminine piece is the top and the edgy piece is the bottom. But there’s no rule that states that the frilly statement piece can’t be a bottom and the edgy element a top. 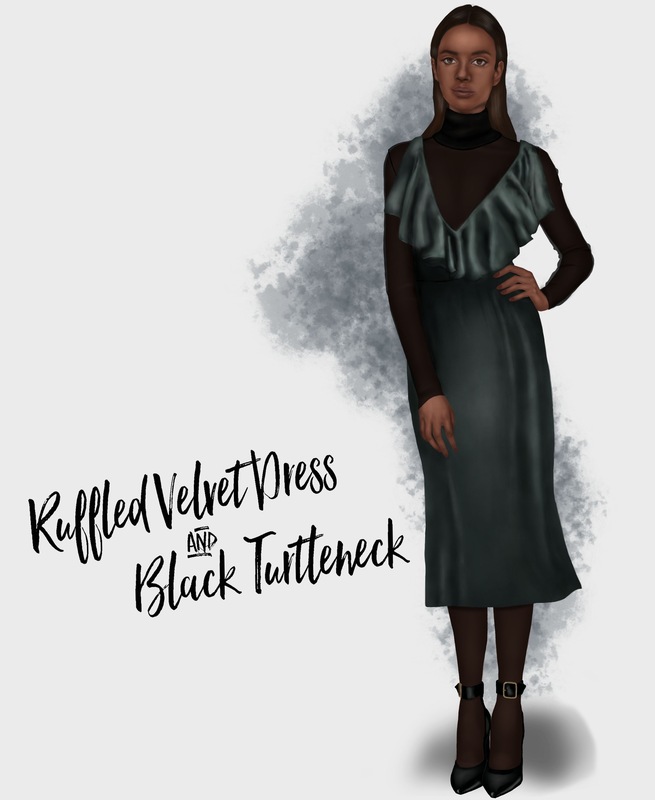 Wear a jewel tone velvet dress, in a romantic dancer inspired silhouette, over a black turtleneck. Ballet inspired dresses are frequently made in fabrics and colors associated with a soft and feminine aesthetic, think floaty fabrics and soft pinks and flesh tones. But a jewel tone velvet dress in a ballet inspired style is the epitome of romantic AND edgy. Let the dress be the centerpiece of the look by combining it with sleek and dark elements, like a turtleneck, tights, and heels.